Let’s talk irons! This is a touchy but very important subject in the world of sewing and quilting. You can buy an iron at pretty much any price point! I’ve seen $6 irons and even $600 irons and the one you end up with will be a matter of personal preference (and budget!). 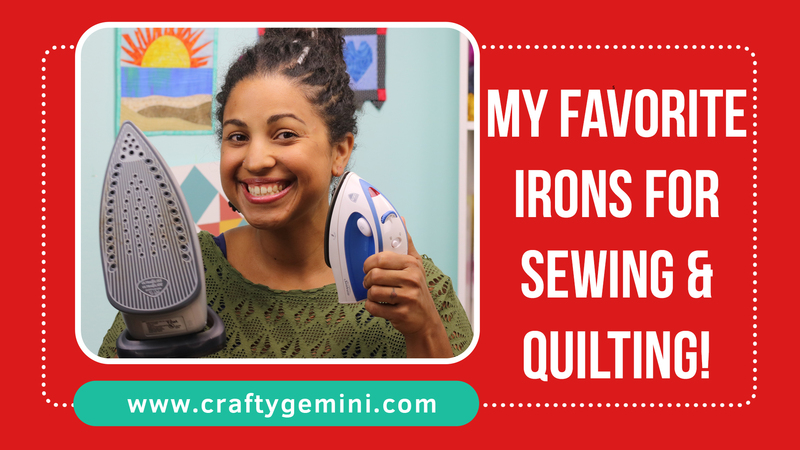 In this video I share with you my favorite irons to use for my different sewing and quilting projects and I make sure to point out the features of each that make them my go-to irons. Sewing and quilting require a somewhat different approach to pressing so I like one iron a lot better than the others for piecing my patchwork units together because there is a lot of stop and go in piecing. I cut, then sew, then press. Cut, sew, press. Over and over and over again. On the other hand when I’m making a top or a dress I need an iron with great steam capabilities and one that will stay hot longer. Those are just some of the features I consider when I’m buying an iron. To here my complete take on the irons pictured below, click HERE to watch the video. 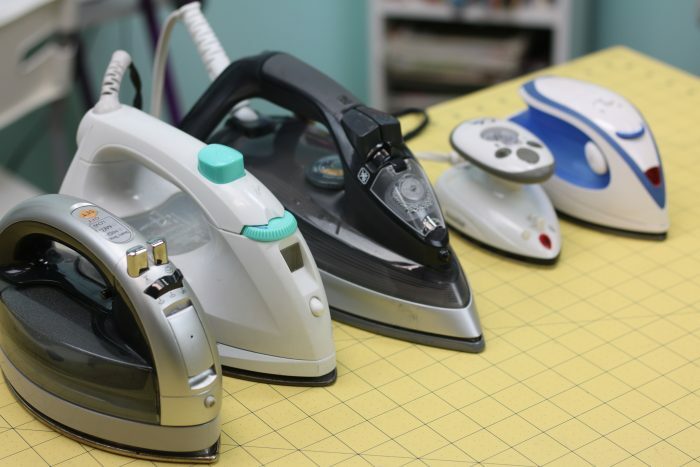 Click HERE (or scroll down) to watch the video review of my favorite irons to use in my sewing and quilting projects. I even share my take on the two most popular mini/travel irons on the market as well. Oh, yea. Almost forgot. If you want to make your own mini ironing board like the one I showed in the video just watch my FREE step-by-step video tutorial. I’m in Canada and your first favorite mini iron sells for $40 here! The mini Sunbeam iron sells for $24. I would like to get a small iron without breaking the bank.I saw this mini iron at Walmart and wondered if you could test it out?